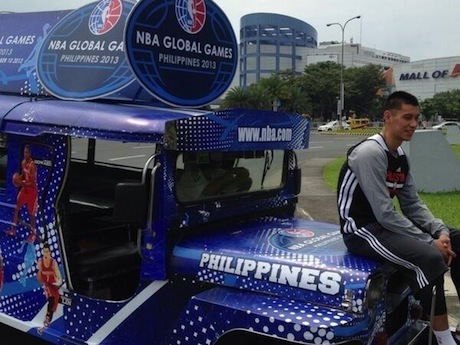 I like how Jeremy is able to focus more on his game this season in Houston. He’s had some good moments, and also some bad moments that probably has made his doubters who predicted he wouldn’t be as great as last season in New York feel vindicated, and that it’s time to try winning some money at Party Casino or something. 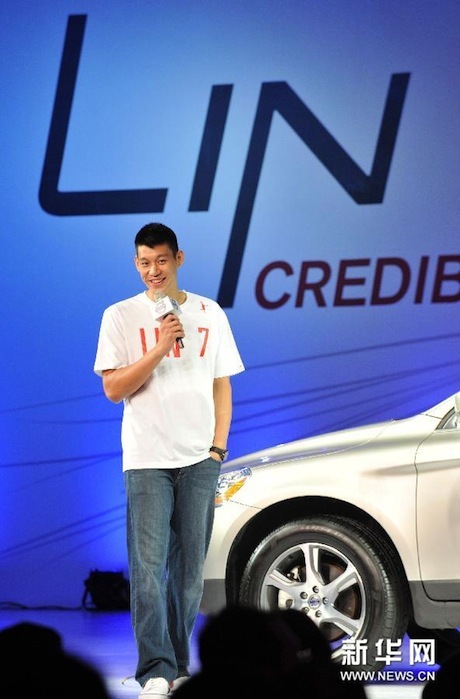 But I believe once the stable of new Rockets players get to know each other better, start developing some confidence, and Kevin McHale gets back to the team from his leave of absence, Jeremy’s point totals and shooting percentage will start going up, and the turnovers will go down. He’s too smart and too much of a hard worker to be a disappointment. 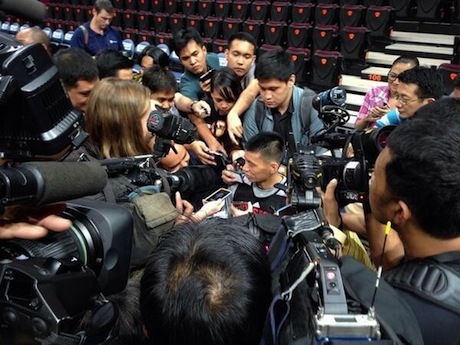 Since our last update on Jeremy Lin’s trip in China and Taiwan, you won’t believe how busy he has been!. Here’s a rundown of what he’s been doing over the past couple of weeks. 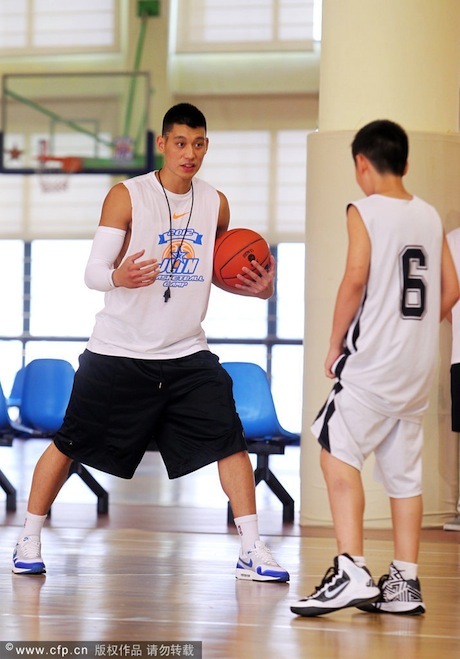 Jeremy continued to run his 4-day basketball camp in Dongguan through August 22nd. 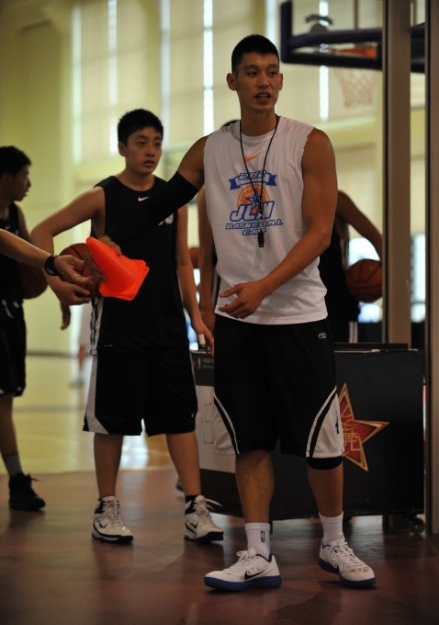 Click here for tons of photos of Jeremy at the camp. 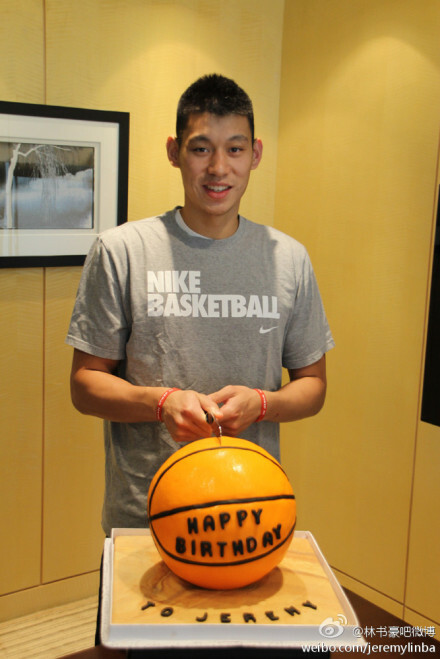 On the evening of August 22nd, Jeremy made his first trip to Hong Kong, and the next day (August 23rd) he spent his 24th birthday there. Check out the cool cake below. 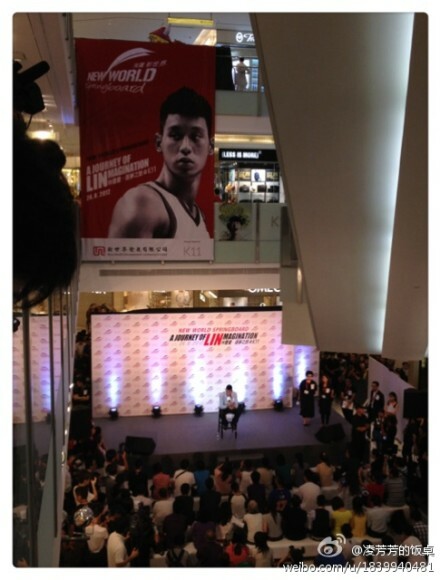 On August 24th, Jeremy made his first public appearance in Hong Kong to share his amazing story of success with hundreds of Hong Kong’s youth at “K11,” the world’s first art gallery and shopping mall. 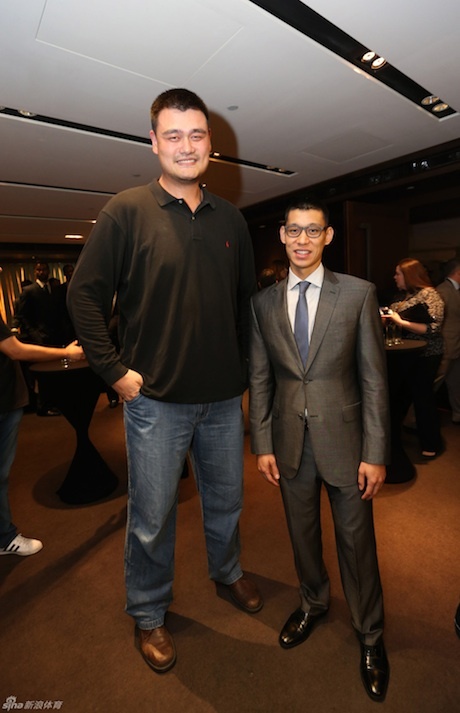 The event was sponsored by New World Group, one of Hong Kong’s leading conglomerates, which launched a new community program called New World Springboard to help young people pursue their dreams through sports participation. 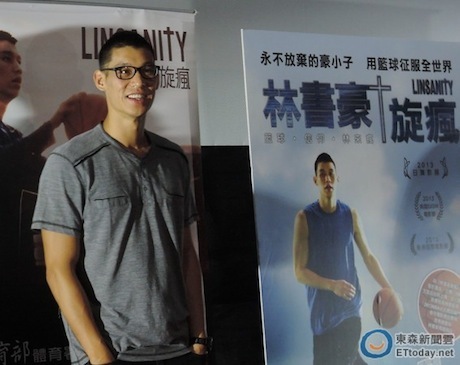 During the Q&A session, Jeremy was asked if he has any preference in the nationality (American, Taiwanese, Chinese or Hong Kong) of a future wife. He said he doesn’t care where his future wife comes from as long as she loves God, and loves serving other people. Jeremy also shared how he spends his free time, and he responded with the following chart (basketball 5 hours per day, family time & relaxing 3 hours, and Bible reading 30 minutes). 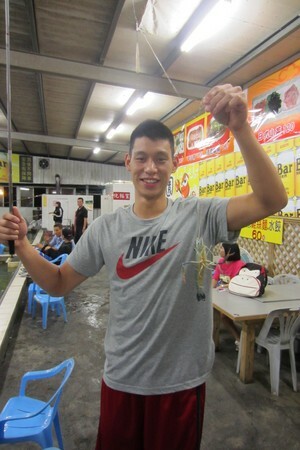 Sohu.com reported that throughout the summer, Jeremy has been working on improving the dexterity of his left hand, using it to dribble, penetrate and pass more. 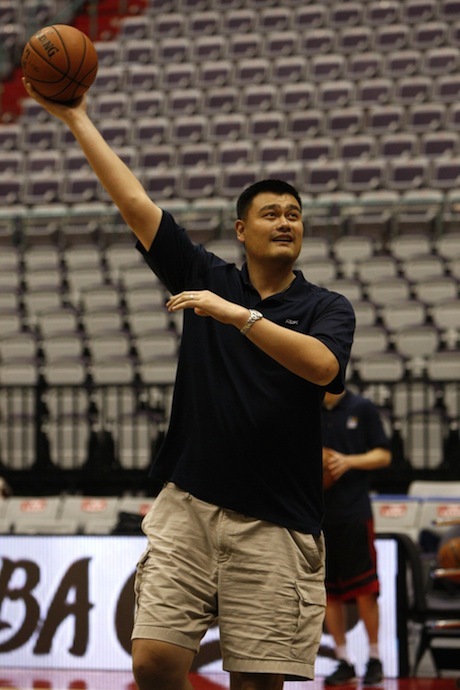 He also told reporters that he lost some weight to reduce the pressure on his knees, but he has become much stronger and muscular in his upper body. Click here for more photos of Jeremy at the New World Springboard event. 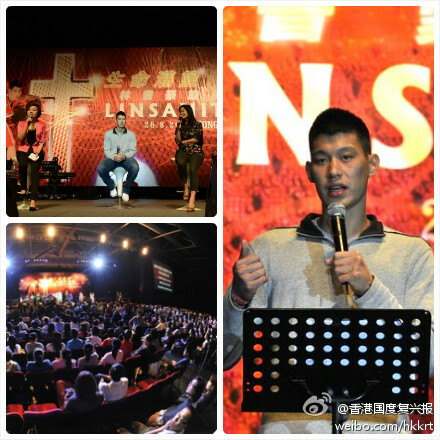 Jeremy was also the main attraction at a Christian testimonial sharing session titled “The Story Behind Linsanity” that had 8,000 attendees at the Asia World Expo in Hong Kong. 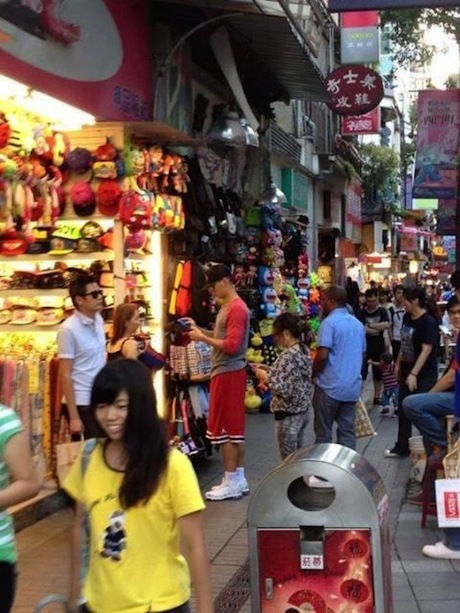 After staying in Hong Kong for a few days, Jeremy flew back to Taiwan where he started another basketball camp on August 27th, this time in Taipei. 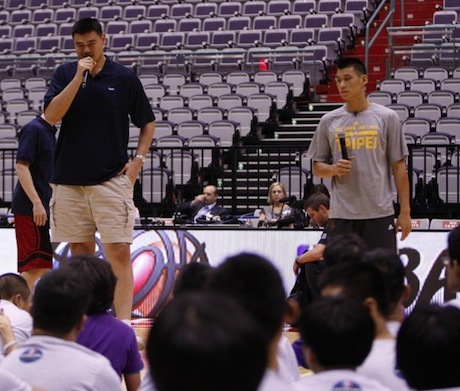 Compared to the camp he held in Dongguan, China, this one seemed oriented to having more fun because it had younger boys and girls participating. 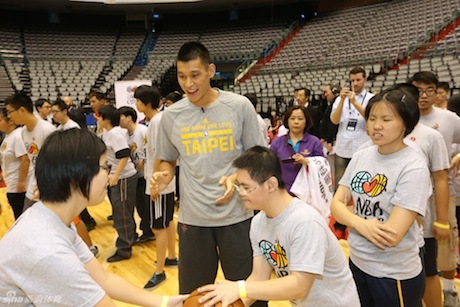 Click here for more photos from the camp in Taiwan. 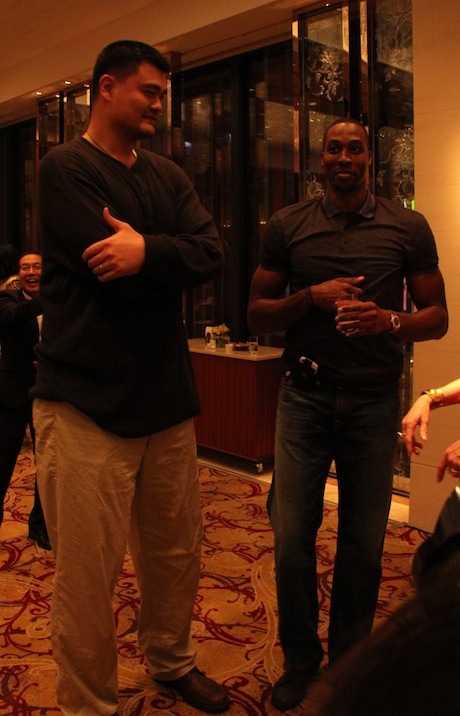 The next day after the camp opened, Jeremy worked out for more than two hours with former Golden State teammate David Lee, who also came to Taiwan for the camp. 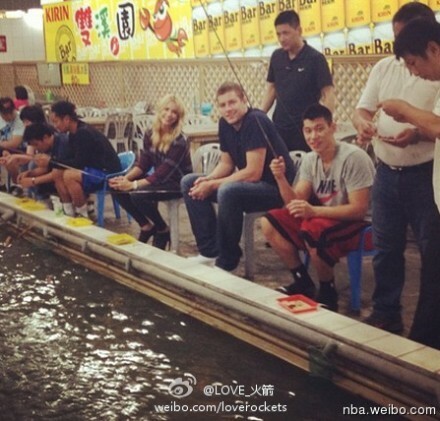 Later, Jeremy took Lee and his fiancee to the famous Shihlin Night Market to do some prawn fishing where Jeremy snagged 11 prawns! 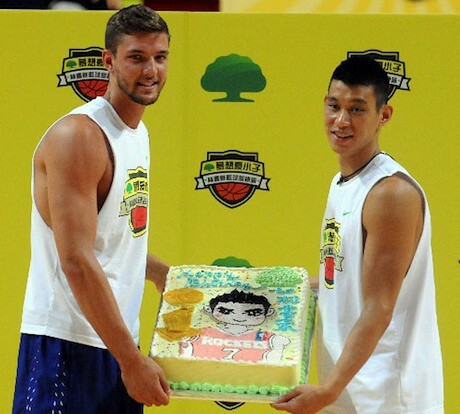 On August 29th, Jeremy and David Lee made a surprise visit to some basketball courts in Taipei (the XinSheng Courts) around 10:00pm and played 4-on-4 against three other teams. 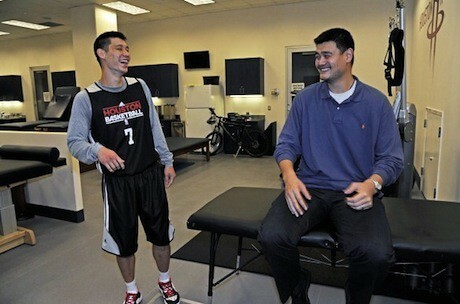 The two other players on Jeremy’s team was his brother Joshua, and Jeremy’s strength & conditioning coach Josh Fan. 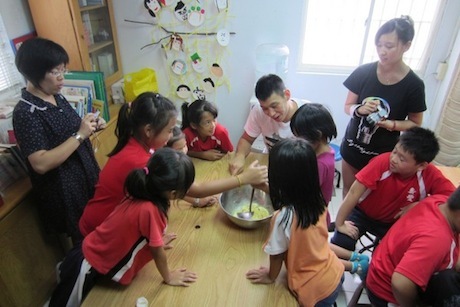 On his next day of training, Jeremy was seen putting his hands in a bucket of rice grain. He said he does this 3-4 times a week because it strengthens his fingers to help reduce the chance of injury, and helps him with his finger rolls. 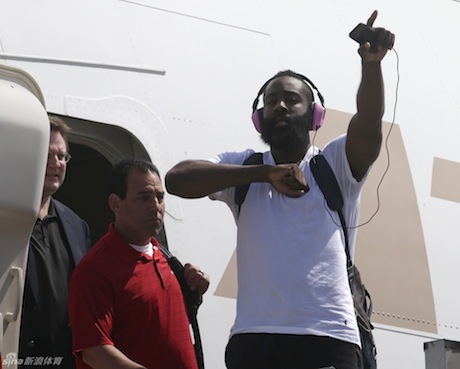 He said a lot of quarterbacks in the NFL also do this. 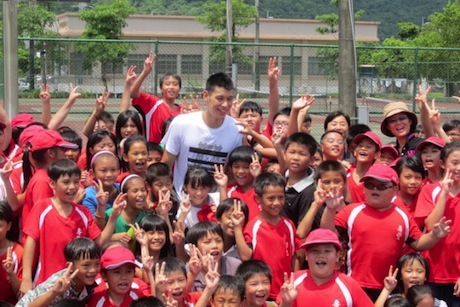 On August 31st, Jeremy went to a primary school in Hualian where he played with 200 boys and girls, who are either orphans or from poor families. You can tell Jeremy really loves being with the kids. 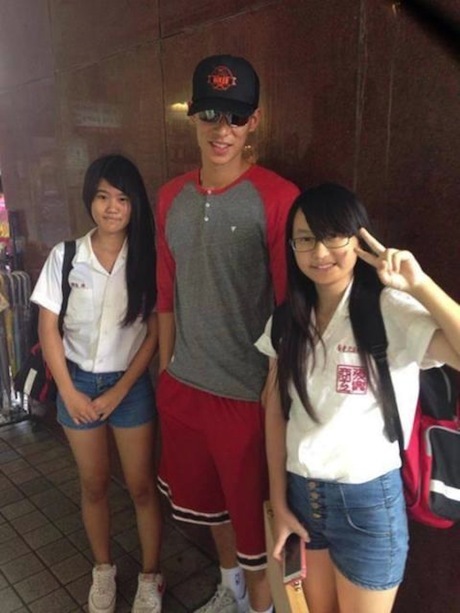 Click here for more photos of Jeremy at the school. 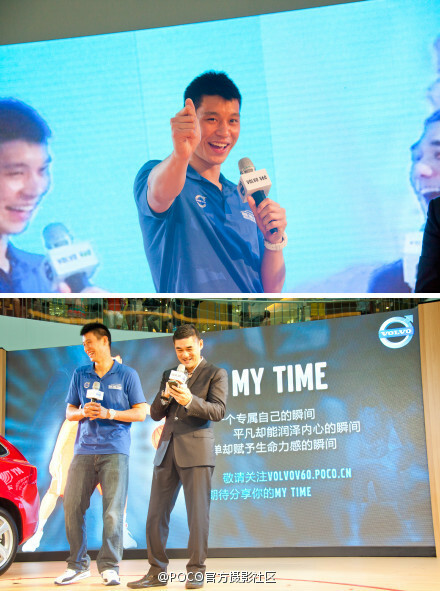 On September 1st, Jeremy attended the launch of the Volvo V60 in the Taipei World Trade Center Exhibition Hall. Jeremy made his last public appearance in Taiwan on September 2nd at a religious testimonial sharing event in Xinzhuang Stadium (Taipei Baby Dome) in New Taipei City, sponsored by GOODTV of Taiwan. 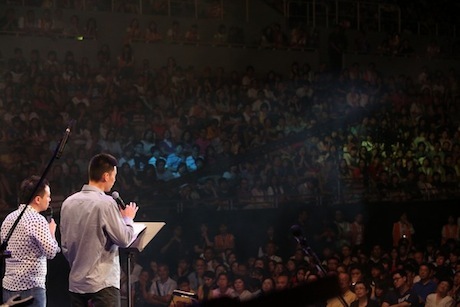 The stadium was filled to full-capacity and was streamed over the Internet to about 700 religious communities all over Taiwan, and even to Malaysia, Singapore, and the U.S.
One of the miracles that Jeremy shared was how he grew to be 5 inches taller and 30 kilograms heavier than the next person in his family. Click here for some of the other miracles he mentioned, and for more photos from the event. 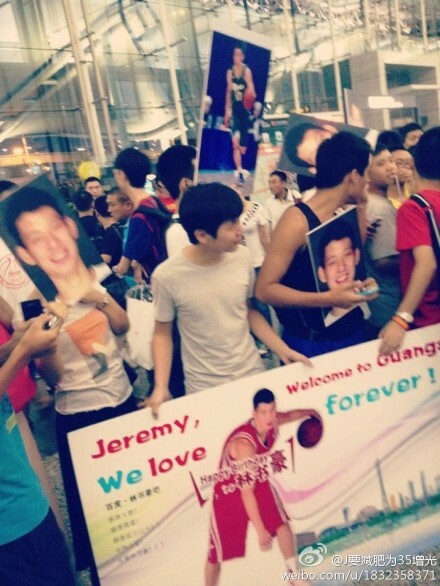 On Monday, September 3rd, Jeremy flew back to Guangzhou (in China) so he could attend the opening ceremony the next day of the KFC-China national youth 3-on-3 basketball tournament. Below is a photo of Jeremy signing a jersey of a member of last year’s championship team. 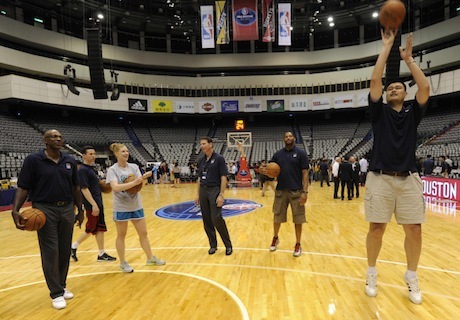 This will be the ninth year of the tournament, which will be a record breaking year with more than 33,300 participating teams with more than 176,800 young players competing for the national championship in over 500 cities. 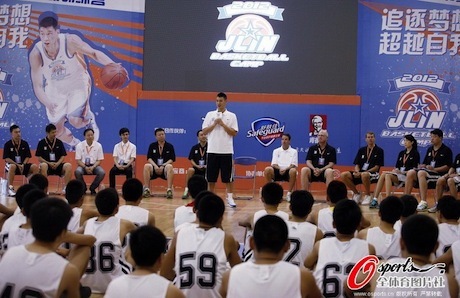 Jeremy was invited to speak a few words of encouragement for the young players. 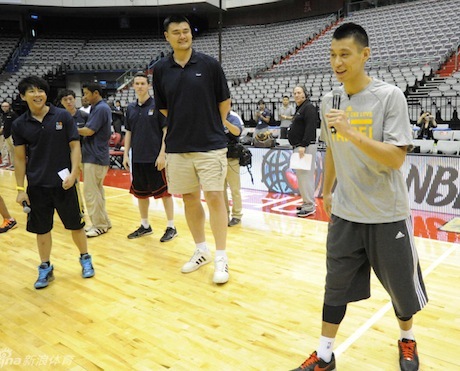 He told them to place an emphasis on both their academics in addition to basketball. 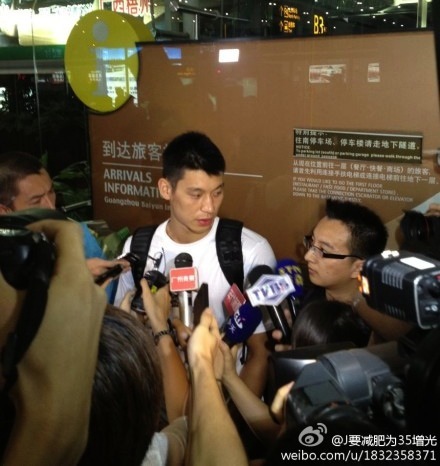 He said basketball is very important to him, but an injury could end his professional career at any time. He said that’s why it’s good to have academic achievements and degrees that one can fall back on when a player’s career is over. Click here for more photos of Jeremy at the tournament. 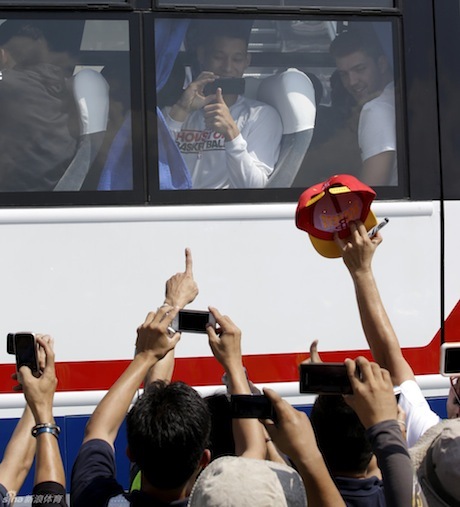 Following the event, after a long one-month trip in China and Taiwan, Jeremy and his colleagues returned to the U.S…probably very exhausted mentally and physically. Thanks go to Raymond for helping put all of this information together.